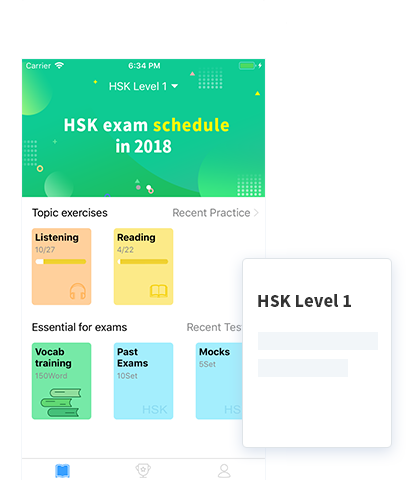 HSK (Level 1) examines candidates' daily Chinese application ability, which corresponds to Level 1 of Chinese Language Proficiency Scales For Speakers of Other Languages and Level A1 of the Common European Framework (CEF). Candidates who have passed the HSK-1 can understand and use some very simple Chinese words and sentences to meet specific communication needs and have the ability to learn Chinese further. The whole test takes about 40 minutes (including 5 minutes for candidates to fill in their personal information). 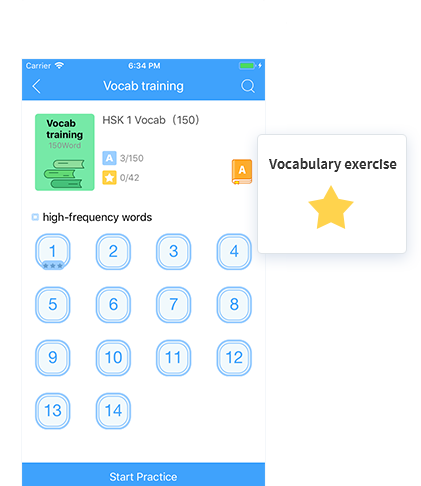 Candidiates need to master 150 common words.